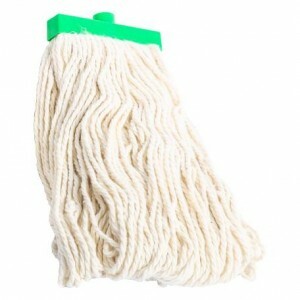 The round handle hanger is not pointy. 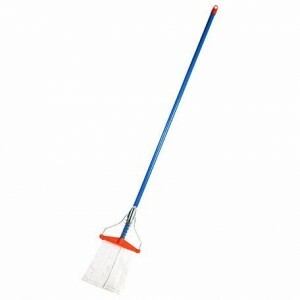 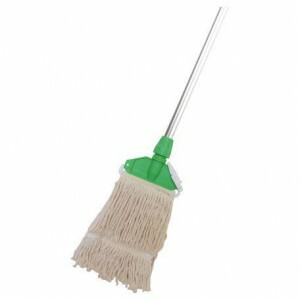 The length of the handle is 107 cm, with thread of US system thread, makes it easy in replacing the refill. 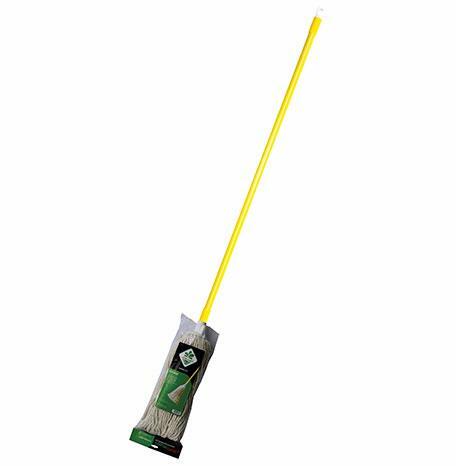 The handle made of Light Steel coated with PVC Shrink wood motif so that the handles do not rusty. 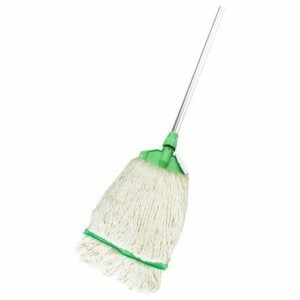 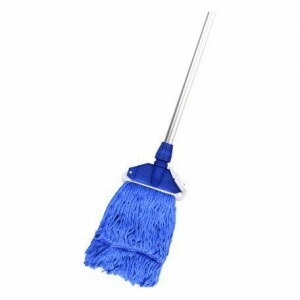 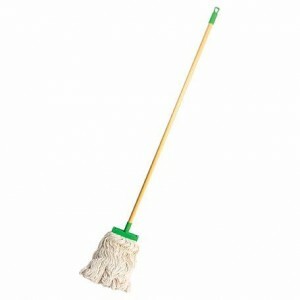 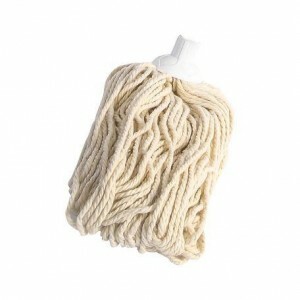 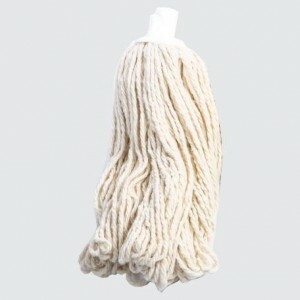 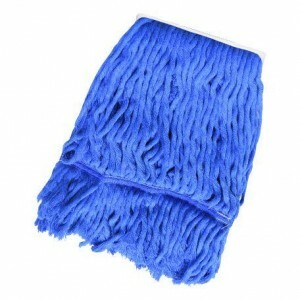 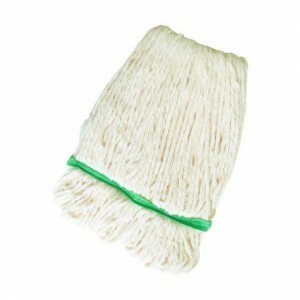 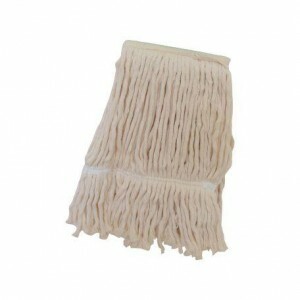 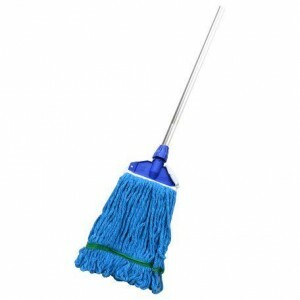 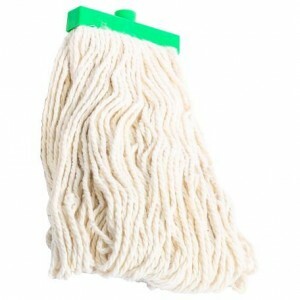 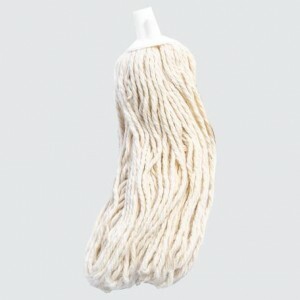 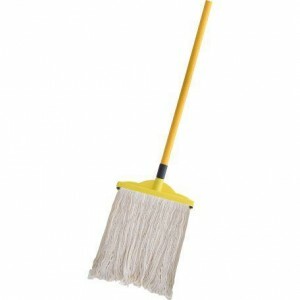 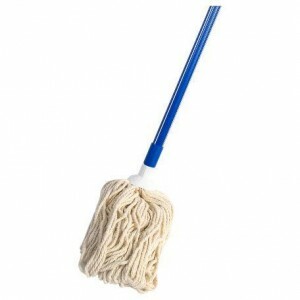 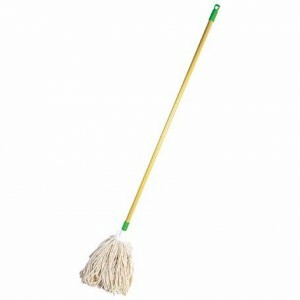 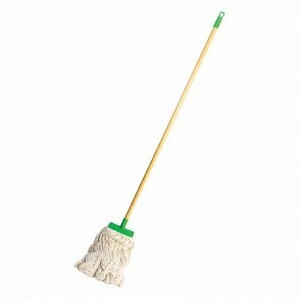 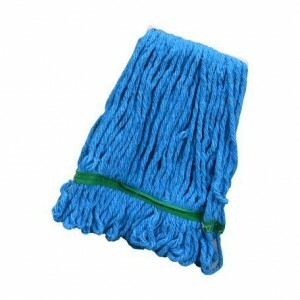 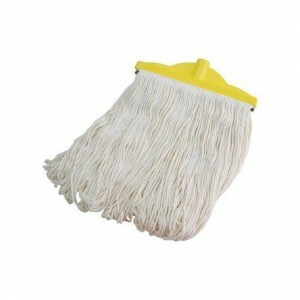 The mop is made of 95% cotton with 180 gram weight, very high water absorption so that the floor is not slippery, the mop with Loop End type (endless but circular) so that the mop thread is not easy to fall out, the mop head round shape is made of strong plastic material that is long resistant.